Some 540 farmers attended the group’s first meeting in Roscommon Mart last Wednesday. Stock photo. Some 540 farmers attended the group’s first meeting in Roscommon Mart last Wednesday where many farmers voiced their concerns over the BDGP and new BEEP schemes. “Farmers felt the BDGP was an insult to them. 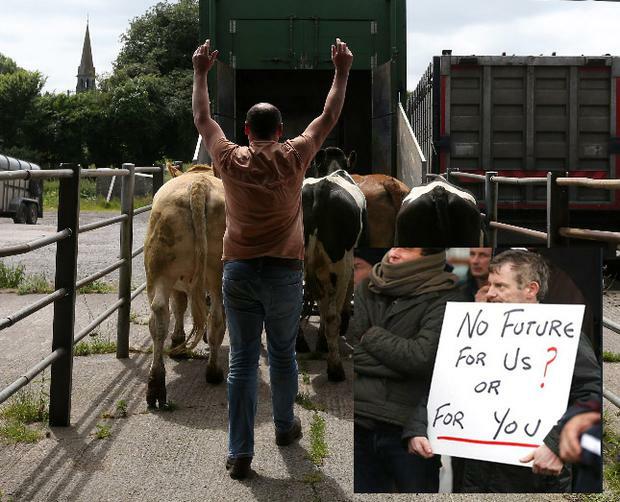 Breed societies are against it and we did a show of hands of the 540 farmers in the room asking, did they support the scheme, and not one hand went up,” Mr Corley said. Mr Corley said the group would consider the suggestion of a small shop owner from Castlerea who said at the meeting that the group should go to the five main supermarkets and ask them if they were willing to pay them the cost of production plus a margin, which is one of the demands set out in group’s 86-point plan. “If one steps forward, we will spread the word and follow this supermarket. This could have a real influence and will help farmers get paid for the work that they do. “Retailers spend €5m a week on advertising, if the consumer knew that the farmer wasn’t getting a fair return, they wouldn’t be happy,” Mr Corley said. “We are getting about 1,000 new members a week. We will try our best to work together and will send our demands to the factories that we get cost of production plus margin,” he said. “We also want to see changes to grading and fat scoring and changes to supervision on the kill floor. We’d like to have farmers trained to be able to supervise trimming of carcasses and grading. It’s important for us farmers as we feel we have been short-changed for too long. Head of Meat Industry Ireland Cormac Healy said the “carcase grading regime in Ireland is one of the most comprehensive and advanced of any country in the world”. “Before the meeting started, we watched farmers come in and they looked sad and in despair. A minute’s silence was then held for farmers who committed suicide which I think was the right thing to do because all the farmers there know someone who has died by suicide,” he said.